Electrotype – Where robots mutate audio! Eagle has been a great tool for the DIY community for several years. 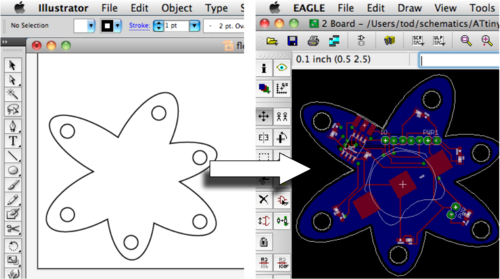 Todbot.com has been gracious enough to share a great tutorial on getting custom shaped PCBs in EAGLE by using Illustrator. I wonder if this is possible in Inskape or Skencil?